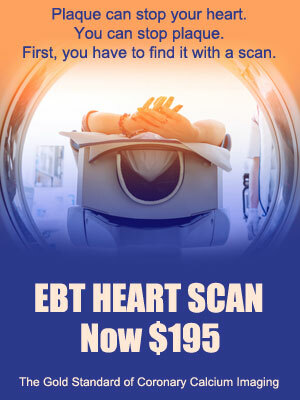 “At my doctor’s urging, I had an EBT heart scan on Oct 21, 2008. I was 54. I was told that anything urgent would be reported to my doctor that day. If nothing was urgent, I would see a report at the end of the week. One hour later, my doctor’s office was calling to schedule a stress test. That test was done on Oct. 27th. An hour after getting back to my office, the cardiologist called to get me in to see him the next morning. He recommended a cardiac catherization. I asked when, he said, “This afternoon”. It was Oct.28th. My LAD was 99% blocked. I got 3 stents.